Add a touch of feminine charm with this polka dot chiffon top. 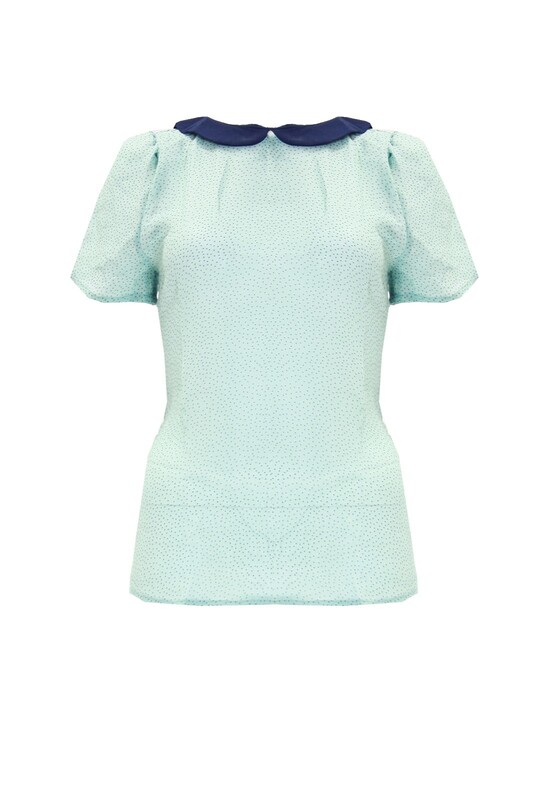 Featuring a contrast Peter Pan collar, perfect for those summer days. Wear it with shorts or skinny jeans.